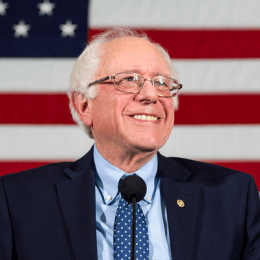 On February 19, 2019 Senator Bernie Sanders (77), announced the formation of a committee to investigate a presidential campaign. Sanders has been in public service since 1981. Sanders brought in more than $5.9 million from more than 220,000 donors in the 24 hours of his announcement. Bernie Sanders, the candidate who rallied left-wing populists in the ... are going to be specifically interested in hearing Bernie Sanders discuss? Bernie Sanders's Electability Tour ... gathered in a park on the shore of Lake Mendota, in downtown Madison, Wisconsin, for a Bernie Sanders rally.